JUNEAU — Gov. Mike Dunleavy vowed a “war on criminals.” This week, state legislators learned that war will cost the state at least $43 million per year in additional spending, and likely much more. 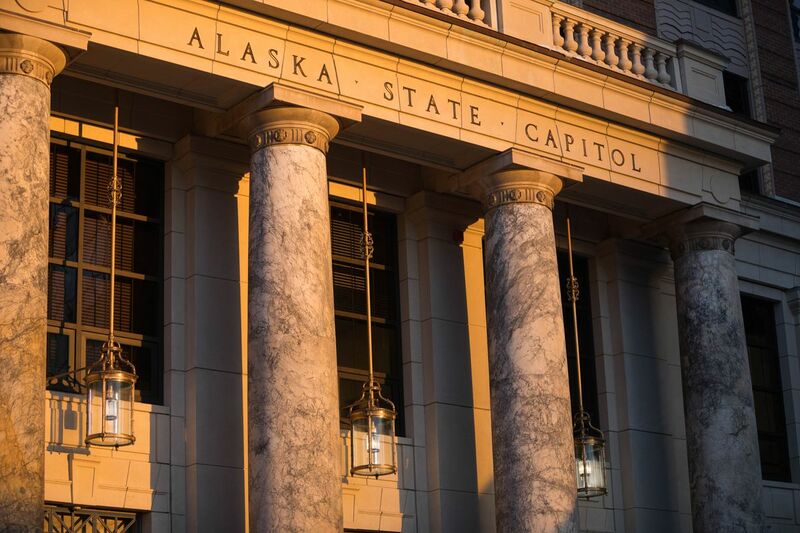 In a series of Senate hearings that began Wednesday and will continue through the weekend, the Alaska Legislature is learning about four crime bills proposed by the governor to deal with the state’s rising crime rates. Three of the bills repeal portions of the 2016 criminal justice reform effort commonly known as Senate Bill 91. The fourth bill addresses perceived loopholes in the state’s sexual crimes laws. Sending SB 91 away will cost the state tens of millions of dollars in additional prison spending just as the governor is preparing to propose $1.6 billion in budget cuts. According to the latest annual report from the Alaska Criminal Justice Commission, the state’s prison population has dropped 4.8 percent since SB 91 was signed into law by then-Gov. Bill Walker in 2016. Much of that decline is attributable to the fact that SB 91 turned many nonviolent crimes, such as low-level theft and drugs possession (without intent to sell) from jailable offenses into crimes punishable by other means. Reversing that approach puts more Alaskans in jail. “This increases the department’s number of inmates by 465 the first year, 523 the second year, and 528 the third year," states an analysis of Senate Bill 32, one of the governor’s four bills. Keeping that many people in jail would cost more than $41 million per year, according to the analysis, but there’s another problem: The state’s prisons don’t have that much space. "This exceeds the department’s current capacity. It is anticipated that substantial additional funds will be required to obtain the capacity to incarcerate these offenders,” the state’s financial analysis says. The analysis doesn’t include a cost estimate, saying only that the additional price is indeterminate. The bills also increase costs for the Alaska Department of Law (for prosecutors), on the public defender agency and the Office of Public Advocacy (who defend Alaskans in court), and on the state’s probation and parole department. The Department of Law estimates spending $1.1 million more per year on Senate Bill 32 expenses alone. None of the other costs have been firmly estimated. Rates of violent and nonviolent crime in Alaska have risen in Alaska since 2013, three years before SB 91 became law, according to statistics collected by the Alaska Department of Public Safety. Clarkson said addressing that increase is a priority for the governor. “If that means more people in our correctional facilities, then so be it. That’s the governor’s view,” he said. There is no guarantee that the governor’s proposal will reduce crime, he cautioned, but other members of the governor’s public safety team said they believe the bills will help. “By tightening up our laws, specifically our drug laws, yes, I do believe we will see a reduction (in crime),” said Amanda Price, commissioner-designee of the Department of Public Safety. Shower, speaking as chair of the State Affairs Committee, said he feels SB 91 didn’t represent cost savings, just cost-shifting to Alaskans who are paying for insurance and to replace stolen items.